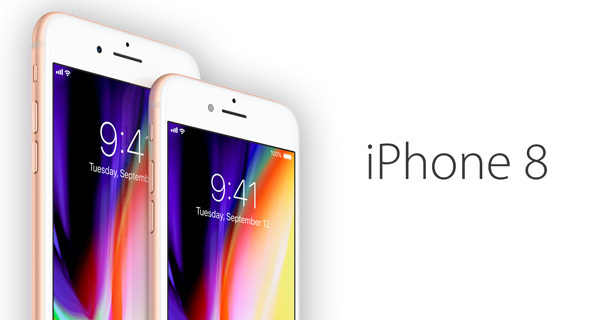 Apple’s iPhone 8 and iPhone 8 Plus are both available for purchase as of today, assuming that you can find one in stock somewhere of course. While both of the new iPhones arriving today have been overshadowed by the iPhone X somewhat, there is great news for those buying today after it was confirmed that the new arrivals both sit pretty at the top of the DxOMark camera rankings. In addition to that we also now have confirmation of just how fast the new A11 Bionic CPU is, and while we knew it was quick, it turns out we didn’t know half of it! 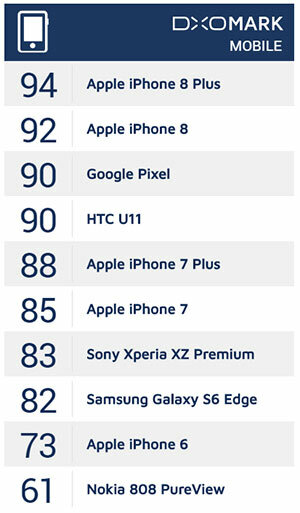 Starting out with the camera news, as mentioned earlier, new rankings have been released by the experts over at DxOMark and they make for good reading if you have a new iPhone 8 or iPhone 8 Plus in the mail today. Both now sit in the top two positions on the updated table, beating out the Google Pixel. It is likely that the iPhone X will beat these iPhone 8/8 Plus scores given it has even better camera, but for now the new iPhone 8s offer the best photo quality around, while equaling the HTC U11’s abilities when capturing video. 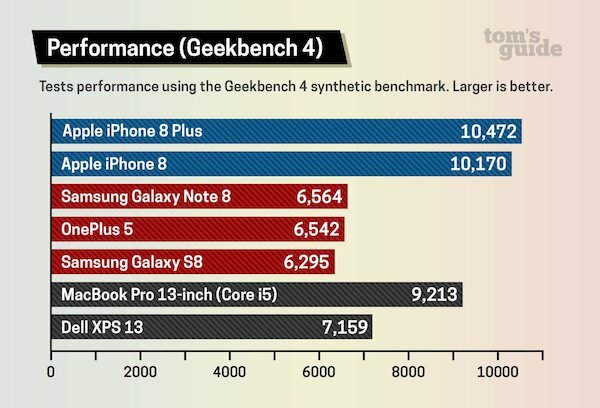 All of this may be made possible, in part, by the iPhone’s new CPU, the A11 Bionic. 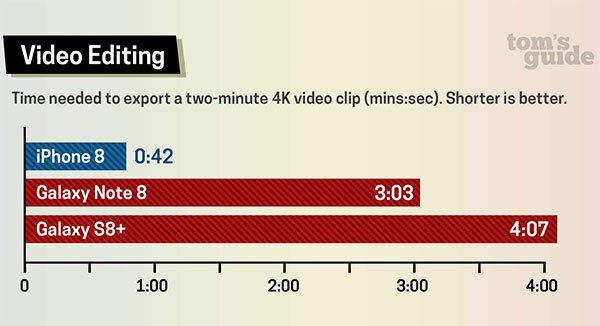 The new chip is already known to be something of a powerhouse, but tests conducted by Tom’s Hardware have shown just how quick the chip is when put through real world tests such as encoding video. If you’re wondering how all this translates to real-world performance, we have more good news for iPhone 8 shoppers — and bad news for everyone else. To really put the A11 Bionic chip through its paces, we put the same 2-minute video, shot in 4K by a drone, on the iPhone 8, Galaxy Note 8 and Galaxy S8+, and then added the same transitions and effects before exporting and saving the video. The iPhone 8 finished this strenuous task in just 42 seconds, while the Note 8 took more than 3 minutes. The Galaxy S8+ took more than 4 minutes. 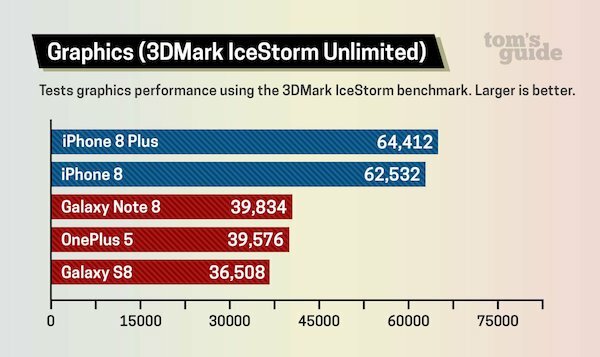 Android flagships appear to be generations behind Apple’s when it comes to pure CPU horsepower, something that appears to translate to real world tasks as well as pure benchmarking scores. Jeezus that’s beyond embarrassing for Samsung and note 8 cost what $930. Yikes. 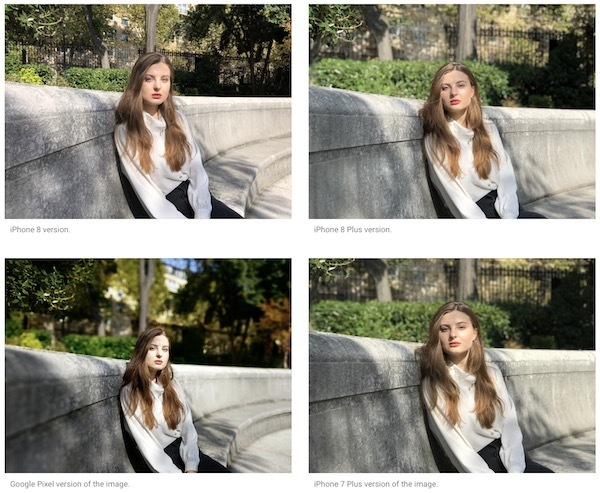 DXO changed the way they test cameras so haven’t re-tested all of the others (S8 etc) im not saying it will beat the iphone, but just so people understand why its not on the list.